"Country sad about popularity contest loss." "How OA (over acting) are those people in that country!" "How OA is this article!" But, really? 500+ comments over this "news" article? Isn't that OA as well? Isn't this a case of "ang magnanakaw takot sa kapwa magnanakaw ("a thief is wary of other thieves")"? Or pointing one finger at others, without knowing that they're pointing three at themselves? "He (Steve Jobs) also taught me that the joy is in the journey..."
"I know a cure for everything. Salt water ... in one form or another, sweat, tears or the salt sea." Thanks to my friend DM for sharing this quote! Do you agree? Let me know your thoughts, through this link. To me, a lie is a sin, while hurting the feelings of someone who is in the wrong but won't admit to it is not necessarily a sin. It's not what you say, it's how you say it. And it's when you say it. If you tell the truth, in a loving way, and he/she still cries, well the only thing you can do is to leave things up to God. The ball is in his/her hands. But making someone smile? With a lie? Sin. It's akin to "Robin Hooding," or feeding your children with stolen money. The end does not justify the means. That's what I think. But you could think otherwise. Let me hear your thoughts at this link. Thanks to JS for sharing this quote. 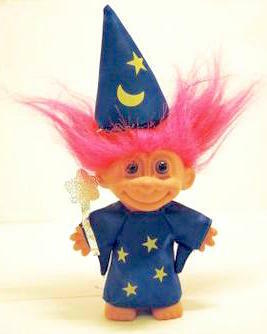 Gosh, I hate trolls. I just can't stand them. Maybe that's just me, but hear my story out first, will you. I wish to comment on stuff on the internet, and maybe get in on healthy intellectual discussions/debates particularly if it's on serious stuff. But some people just don't get it, and then they just hit you with insults from out of nowhere, instead of a well-formulated and well-informed counter-argument. This explains it. Or not. Try the "Talent? Lifer? or Mandarin?" test as well for yourself. [did you know?] You can spam in many ways thru Facebook. Spam and e-mail are not mutually inclusive. I'm writing this as a reaction to all the spam I've been receiving on Facebook, and after I found this Gizmodo article about one way to "filter" spam on Facebook that might be really useful to us all. This is quite long at well over 3,000 words, but I have a 10-point summary version near the end of this article if you just want the gist of it. In case you haven't yet heard of the term, "Spam," electronically speaking, is the act of using electronic messaging systems to send unsolicited bulk messages indiscriminately. The word "spam" itself is related to the popular canned processed meat of the same name. As to the term we are talking about today, it started out in e-mail, where marketers would send out an e-mail in bulk to a large number of people.